First, I created some to practice measurement conversions (You can find them in my Merry Measurement Conversions title here). 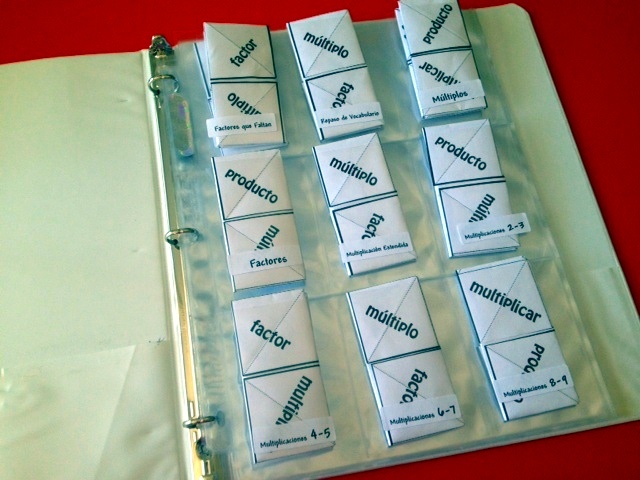 My kids have had fun with that, so now I’ve created some multiplication paper quizzers. At first I had all the students make one and play with partners. They kept score and the first to 5 points would win the game. But it really seemed like a waste of paper and loss of time having all the students make one. So, now I’ve created a paper quizzers notebook. Early finishers can pull out one to play with, and I can direct students who need extra reinforcement in a skill to the notebook (I teach Spanish immersion so the photos show the Spanish templates). I label quizzers inside one of the petals so students know where to return it afterwards. And I also created a blank template for 8 problems or for 16 problems, so quizzers can be created for any skill needed. And a green side note – You can print these on the back side of paper that has already been printed on since all the text is on one side. So, I would love for you to have the multiplication paper quizzers for free. All I ask is that if you aren’t already, that you become a follower of my TpT store. If you aren’t one yet, just click here and click on “Follow me” beside my photo (you need a TpT account, but it is free and easy). Then just email me at [email protected] to let me know you are following me at my TpT store. 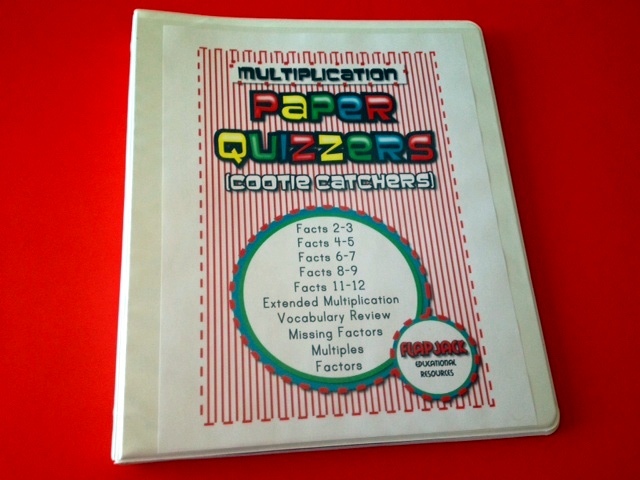 Here is the link for the multiplication paper quizzers title to see if you are interested. I will love to have this one! Not only am I following you on Facebook, but I just signed up to follow you on TpT. 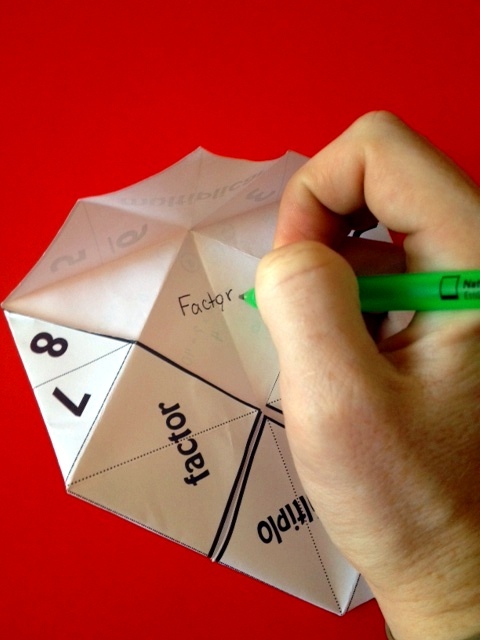 I would love to have the Multiplication Cootie Catchers. Thank you for sharing your activities with your followers! I love this type educational blog which help new generation to getting educated. 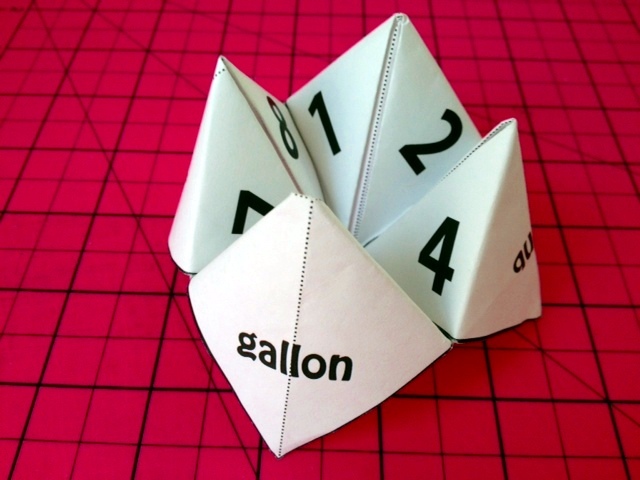 I just started following you on tpt…is it too late to receive the multiplication cootie catchers? I love everything I've seen!! Thank you for sharing!! EVERYONE—FROM BEGINNING LEARNERS in English to veterans in journalism—knows the frustration of not having the right word immediately available in that lexicon one carries between one's ears. Sometimes it's a matter of not being able to recall the right word; sometimes we never knew it. It is also frustrating to read a newspaper or homework assignment and run across words whose meanings elude us. Language, after all, is power. Building a vocabulary that is adequate to the needs of one's reading and self-expression has to be a personal goal for every writer and speaker. https://vocabmonk.com is a solution to it. Learn Vocabulary only at http://www.vocabmonk.com.